When a pregnancy becomes a life-threatening complication, Professor Susan Walker is called in to shepherd mother and baby to safety. And as a mother, she knows what she wants from obstetrics research in the future. “If and when the time comes in perhaps 10 years or so for my own daughters to have children, my wish is that they can enjoy a safe transition to motherhood,’’ Professor Walker says. “But if – God forbid – a complication should strike them, I hope by then we have discovered safe and effective treatments that would ensure they and their babies meet together, safe and well, and at close to full term. I hope the students we teach today will be their empathic, kind, conscientious and wise doctors. I hope that through engaging and accessible education, the knowledge required regarding management of high-risk pregnancy will be in the hands of their GP, their midwife and their specialist. What if we had a blood test to indicate which babies are at risk from stillbirth? Researchers may have found just such a test and 2000 Australian mothers signed up to help prove it. 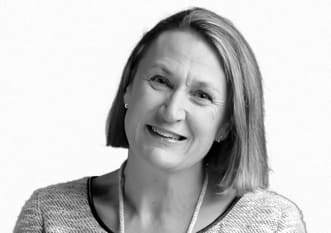 Professor Walker is part of a team of University of Melbourne researchers based at the Mercy Hospital for Women, in Melbourne’s north, who are going a long way to making those wishes a reality. The University’s Translational Obstetrics Group brings together a unique team of researchers including scientists, obstetricians and midwives, whose precious research subjects are the pregnant women and their babies coming in each day to give birth. And this daily scientific detective work is on the way towards providing a revolutionary test for identifying those babies at risk of stillbirth. It would mean we could save the babies at risk by simply delivering them before stillbirth strikes. Six babies every day in Australia are stillborn, or about 1 in every 135 births. Globally, about 3 million babies are stillborn every year. The tragedy is made worse by many deaths occurring after 37 weeks, when the baby is at term and could have been safely delivered earlier. The problem is that we have no way of accurately identifying a term baby who is at risk of stillbirth. But some lateral thinking and painstaking science may have identified a simple blood test for stillbirth risk, and some 2000 Australian mothers-to-be have signed up in a trial to prove it works. “If we can nail this we can significantly reduce the incidence of stillbirth,” says Professor Stephen Tong, Professor of Obstetrics and Gynaecology at the University of Melbourne. When not delivering babies or training would-be obstetricians, Professor Tong leads about 15 university researchers in the Mercy-based Translational Obstetrics Group. His group works closely with Professor Walker, who is director of Perinatal Medicine at the hospital and head of the University’s Department of Obstetrics and Gynaecology. Together they collaborate with researchers based at the University, including fetal and neonatal scientist Professor Laura Parry. We don’t know the full causes of stillbirth, but in about half of cases it is caused by the placenta not working properly. The placenta feeds and oxygenates the baby so when it isn’t working well babies become growth restricted. Fetuses that are growth restricted are at 3-4 times increased risk of stillbirth. So, finding a test that accurately flags babies that are growth restricted and intervening early may be the key to reducing stillbirths. But it is surprisingly hard to identify such growth-restricted babies. Ultrasound images can tell us a lot about how well a baby is growing, but its success rate in identifying under-sized babies isn’t much better than 50-50. “It’s hopeless and we need something better,” says Professor Tong. If and when the time comes in perhaps ten years or so for my own daughters to have children, my wish is that they can enjoy a safe transition to motherhood. That “something” came from an earlier published discovery that the placenta leaks ribonucleic acid (RNA) into the mother’s blood stream. RNA are the molecules that translate our genetic code from deoxyribonucleic acid (DNA). It got Professor Tong’s team thinking of whether there may be a clinical use for what seemed a largely esoteric discovery. Professor Tong’s PhD student, obstetrician Dr Clare Whitehead, began carrying out tests and discovered that the level of RNA in a mother’s blood correlated with low oxygen levels in the baby, indicating a placenta that is struggling to work. 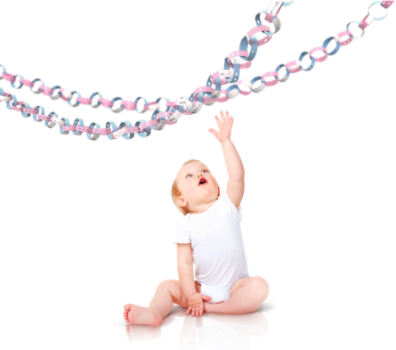 By simply measuring the level of RNA in the mother’s blood stream there is now a real prospect of identifying the babies at risk and then keeping a close eye on them. “The lateral leap in logic we took was to think both scientifically and clinically to try and use the RNA discovery as a potential biomarker for stillbirth risk,” says Professor Tong. The trial, the results of which are now being assessed, involved taking blood tests from pregnant mothers at 28 week and 36 weeks. Almost every mother they approached came on board. Half of stillbirths are caused by a malfunctioning placenta and scientists have discovered a biomarker in the mother’s blood that indicates a struggling placenta. “The mothers were amazingly altruistic when it came to this research. They empathised on a deep level with the issue of stillbirth, which had the potential to affect any of them,” says Professor Walker, who co-leads this trial with Professor Tong. Indeed, the ruthlessness of mathematics meant it was inevitable that some trial participants would suffer the tragedy of a stillbirth. Of the 2000 women, four lost their babies to stillbirth, yet all were grateful for the opportunity to participate in the study, hopeful that their blood sample might hold a clue to reducing the risk of stillbirth for other families. 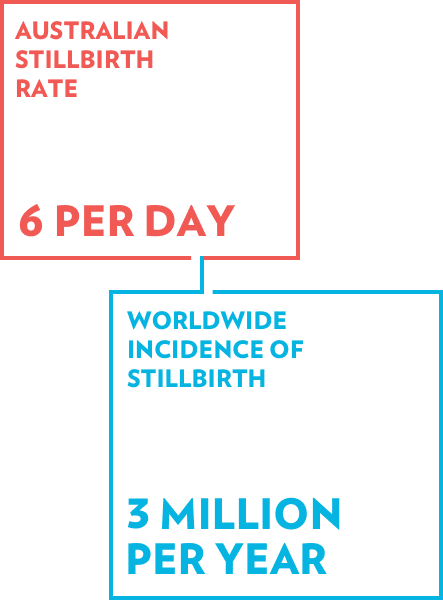 “Despite all the advances in medical knowledge and technology, we have consistently failed to reduce the incidence of stillbirth. It is an ongoing disaster. 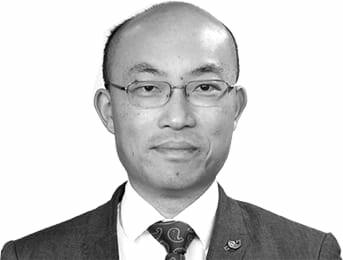 But if we can establish an accurate test that allows us to save a big proportion that that will be a monumental step forward,” says Professor Tong. The same approach to marry science with clinical practice is also paying dividends in the team’s ongoing quest to find a drug to treat preeclampsia. This is a condition that affects 5 per cent of pregnant mothers in Australia and can lead to babies being delivered dangerously early in order to save the mother’s life. In preeclampsia the placenta becomes diseased and releases damaging toxins into the mother’s blood stream that can cause dangerously high blood pressure and ultimately damage her internal organs, especially the kidneys. “There are no treatments for preeclampsia other than to remove the placenta and that means delivering the baby, ready or not,” says Professor Parry, who is also Associate Dean of Research and Industry in the University of Melbourne’s Faculty of Science. It means doctors must play a dangerous waiting game in which the health of the mother must be balanced against that of the baby. 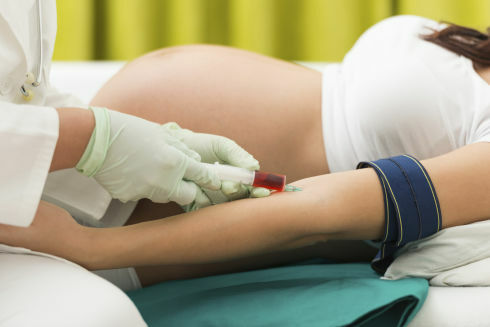 But the team have developed a unique drug testing regime in which they comb the research literature for safe drugs that have been developed to treat other conditions in pregnancy but which, because of how they work, may help in treating preeclampsia. The team then tests these drugs on fresh samples of human placenta tissue, of which there is a ready supply from Mercy’s maternity ward. It is a process requiring that tissue be immediately analysed as soon as it becomes available, because it is then that the tissue acts most like it does when inside the body. Researchers are zeroing-in on an array of treatments that ultimately will keep mother and baby safe. This is where basic science meets clinical science. Testing whether a drug can be effective against the toxins released in preeclampsia is extremely difficult because we don’t have a good model for mimicking preeclampsia in the human body. Normally researchers use mouse models to test drugs intended for humans, but mice are completely unlike humans when it comes to their placentas. Indeed, apart from a few primates, no other animal has a placenta that works like a human placenta, which is so invasive that it actually becomes part of the mother’s tissue. We have a special place here where the clinicians are also scientific detectives. The alternative to using mice to is test drugs on human cell lines, which are developed in the laboratory from a single cell and stored in the deep freeze. The problem is that cell lines aren’t necessarily accurate representations of how our biology really works. But Professor Parry’s research group, in the University’s School of BioSciences, have developed a technique for testing drugs on small samples of blood vessel tissue taken from the mother at birth. They found that when they added preeclampsia toxins to the sample, the blood vessels contracted. “By adding toxins to blood vessel tissue in the lab and then treating them with a drug, we can see if the drug can make the blood vessels dilate, which is at the heart of an effective treatment,” says Professor Parry. Two drugs have already been identified as potential treatments for preeclampsia and clinical trials are underway. Support the work of Susan and her team.